Discussion in 'News' started by Rahul, Oct 25, 2018. For School Assistants, TGTs, Language Pandits and PETs : Duration of Examination: 02 ½ Hours. 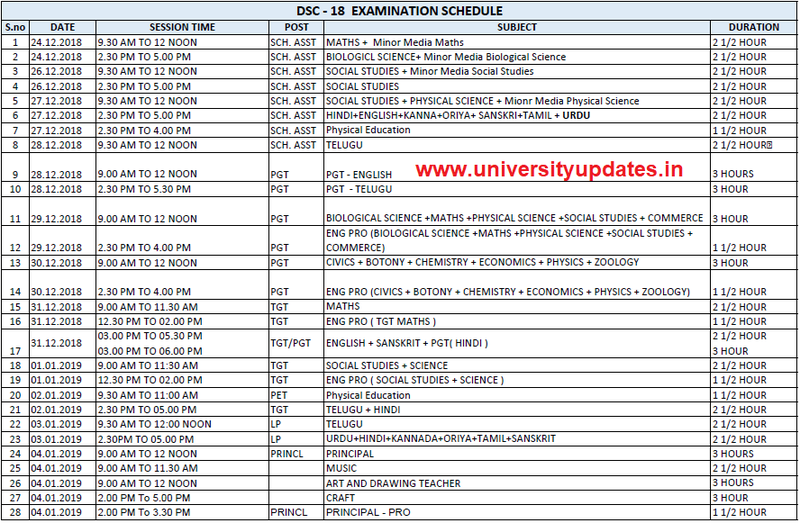 For PGTs, Principals, Music, Craft, Art & Drawing and SGTs : Duration of Examination: 03 Hours.